Home > Get out and vote today! Written by Jeffrey Kaufman. Posted on November 6, 2018. Make your voice heard by voting on November 6, 2018. 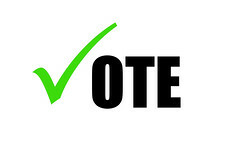 Today is election day and your vote counts! Michiganders will be selecting a new governor, numerous state representatives, and voting on several important measures. Polls open at 7 am and close at 8 pm. Make sure to check voter registration information and polling location before heading out. Elections have consequences and it is time to make your voice heard! Workers’ compensation has been under attack for eight years and change can finally happen. Michigan Workers Comp Lawyers never charges a fee to evaluate a potential case. Our law firm has represented injured and disabled workers exclusively for more than 35 years. Call (844) 201-9497 for a free consultation today. Photo courtesy of Creative Commons, by Alan Cleaver.